(March 23, 2011) – In announcing the members of its 2011 sailing roster, The All-American Offshore Team (AAOT) is setting a course for a new generation of sailors to move into open ocean racing. Leading by example, the AAOT hopes to jumpstart a movement to foster youth opportunities in offshore racing as they will do aboard the STP65 Vanquish which will compete in four key events this year: the 66th Storm Trysail Club’s Around Block Island Race; the Annapolis to Newport Race; the Transatlantic Race (Newport, R. I. to The Lizard, England) and the Rolex Fastnet Race. AAOT is committed to providing “high-performance offshore training opportunities for an up and coming generation of American ocean racing leaders” and went through a detailed selection process before making final team selections for 2011. The age range for AAOT was modeled on the age cutoff for the Volvo Ocean Race with nine sailors between the ages of 18 and 30 selected to join the AAOT Management Team of Charlie Enright (Bristol, R.I.), Chris Branning (Pace, Fla.), Jesse Fielding (Wickford, R.I.), Mark Towill (Kaneohe, Hawaii) and Matt Noble (Richmond, Calif.). 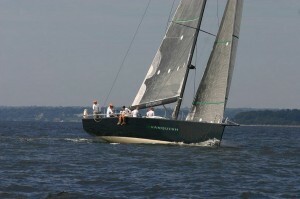 The 2011 All-American Offshore Team represents nine different states with an onboard average age of 23. Most AAOT team members are bringing more than just sailing expertise to the table: Colin Orsini (Seattle, Washington) is a personal trainer, former firefighter, and is well experienced in the boat building arena; Pat Showell (Sweetwater, N.J.) is a licensed captain, certified EMT, and an engineer; while Branning is currently in training to become a U.S. Coast Guard helicopter pilot. Molly Robinson (San Francisco, Calif.) is one of two women on the 2011 All-American Offshore Team. “In sixth grade my parents took me out of school for six months to sail to the Caribbean and ever since I’ve wanted to get back into open ocean sailing,” said Robinson, who sailed competitively for the College of Charleston Sailing Team in Charleston, South Carolina. “Being part of AAOT is a dream come true and I know it will be a life-changing experience.” Robinson brings specific knowledge to AAOT from her past experience as a sail maker for North Sails in Auckland, NZL, and as a water purification expert with Spectra Watermakers. The next order of business begins in late May, prior to Storm Trysail Club’s Around Block Island Race, when the full team will congregate at U.S. Merchant Marine Academy headquarters in New York, N.Y., to participate in the Safety at Sea Seminar and begin their first practice. 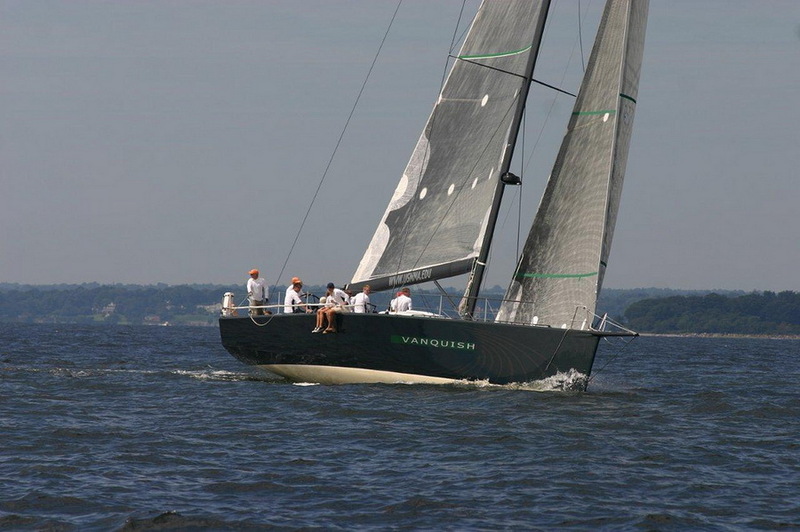 In early June, the 2011 AAOT will relocate to Annapolis, Maryland, for the start of the Annapolis to Newport Race, followed by an offshore training session, which will be held as the final preparation for the 2,975 nautical mile Transatlantic Race from Newport, R.I., to the Lizard, U.K. The team will remain in the U.K. to prepare for the Rolex Fastnet Race which starts in Cowes in August.